Jessica Fox (@jessfox94) is a franco-australian women racing for Australia, Penrith, New South Wales. She is double Olympic medallist (bronze in 2016 & Sliver in 2012), 19 times World Champion (single and team event) at only 24 year old. She competes in kayak and canoe. Jess is also a Redbull athlete and 2017 World Paddle Awards Sportwoman of the year. Her parents are both mutliple canoe slalom World Champions and Olympians. Her mother raced for France and her father fro Great Britain. In that in-depth discussion, more than the canoeing skills, we discuss the growing mindset that allows her to learn fast. Jessica is an amazing role model that ticks all the boxes of meta learning; how to learn anything quickly. In this very inspirational talk, we discuss how she’s learnt to regulate her emotions to ensure a quick turn around between event to ensure she remains focus on task. Jess also talk about the responsibility of being an Olympian and what it represents. Denis Gargaud-Chanut (www.denisgargaudchanut.com) is French and he is the current C1Men Olympic Champion, a title he won in Rio in 2016. Denis has competed in both C1 and C2 from 2009 to 2011 alongside Fabien Lefèvre. He won Gold in C1M at the Senior World Champion in Bratislava as well as silver in C2M which makes him the first male athlete at that time, with Fabien Lefèvre to medal in 2 classes at the same Senior World Championship. Denis has also won a number of medals at the European Championships with in individual event and team event. Denis lives in Marseille in the South of France with his family and travel to Pau, In the Pyrénées Range to train on the white water. Besides being a World class athlete, Denis is also the CEO of Mulebar (www.mulebar.com), a company that creates “all natural” energy bars and gels. Denis has started his paddling career at the age of 12, thanks to his cousin and has signed up into one of the most successful club in France, Marseille Mazargues Canoe-Kayak. Denis has always learnt the “tough way” as he likes to put it; Even if he had a joyful and positive childhood, he’d witnessed first hand the rough and unspoken rules in the streets of Marseille; an experience that later, he says, helped him to switch on the survival mode in competition. Denis also underwent a rigorous training method dispensed by Albert Tobelem, the figure of the club and an icon in the french canoeing landscape. As Denis puts it: “training was about life and kayaking” and the rules were such that the least interested were forced to leave. Later in the discussion, Denis opens up and share his internal battle against Tony Estanguet and how he dealt with it to move on and later become a better person. He shares his mixed feelings about his experience doubling up C1 and C2. He also speaks about how he bounced back after his non selection to the 2012 London Olympic Games and how he wanted to approach his first Olympics and his relationship with his now first class coach Benoit Peschier. As a true self made man, Denis gives away unconventional wisdom and advises to young paddlers (school teachers and parents please close your ears!). He encourages people to follow their gut feeling while listening to others at the same time. At the beginning of the discussion, it takes us some time to find our rhythm and words in our second language but bear with us because Denis shares gems in an open and honest discussion. The Canoe Slalom Podcast Episode 2 with Daniele MOLMENTI is up! Daniele is the 2012 Men’s Kayak Olympic champion in London. He won the World Champ in 2010 but as he said he won the rings before the Olympics: Asian, Pan American, European, Oceania… He only misses the African Championship… so beware African paddlers he may come back for that missing ring! 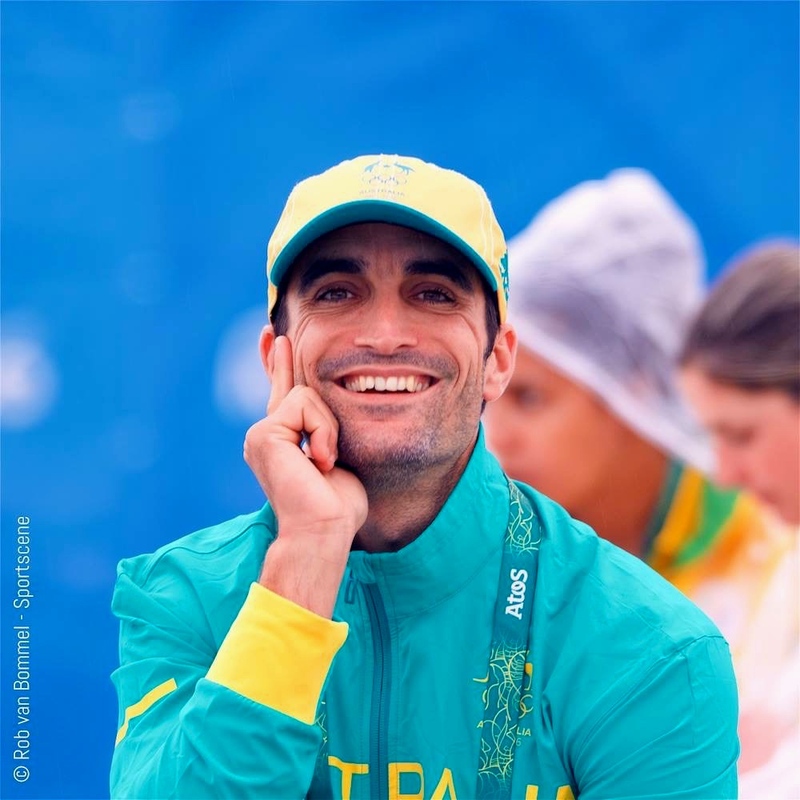 Daniele has now retired from his athlete career and is acting a Technical Director at the Italian Canoe Federation. He is also Athletes Representative at the Italian Olympic Committee. Outside of canoeing, (yes he can do that as well!!) he is the founder of a Winery Moment e Celot. What struck me as we were discussing is that Daniele career is full of life changing meetings with athletes, coaches and others staff… Daniele has this ability not only to connect with people and make them feel important but also learn from them every step of the way: wether it be stumbling across Richard For after the 2006 World Champ in Prague, his astonishingly strong bond with Peter Kauzer, the Martikan’ boat challenge, David Ford, Helmut Oblinger, Campbell Walsh, Fionna Pennie and Jurg Gotz in Great Britain, or the Japanese acupuncture… he’s always been able to open his mind and learn from the best. It is to me the real strength of high achievers. He did know what his strengths were, but he knew he had to become a student of the sport after 2006 while he was left with no coach to build his own method. If you want to know what it takes to become a true champion, Daniele gives you answers in the discussion: set a clear goal for yourself and work tirelessly towards it by being acutely aware of your strengths and by listening up to the best to improve your weaknesses! Daniele talks also about how Judo helped him to build his attitude at a young age before Canoe slalom. How to make decision towards achieving your goal, his pre race routine, the importance of collecting datas in training to refine your training year after year and much more. Enjoy the podcast! The Canoe Slalom Podcast: EPISODE 1 with Peter KAUZER.